Witness the birth of the classic struggle between angels and demons. 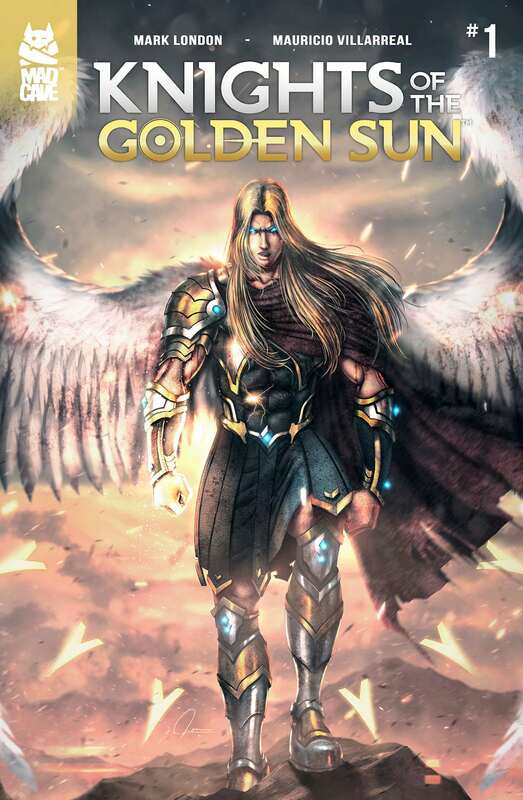 Mad Cave Studios is proud to announce its third original title, Knights of the Golden Sun from the creative team of Mark London (Battlecats, Midnight Task Force) and Mauricio Villarreal. 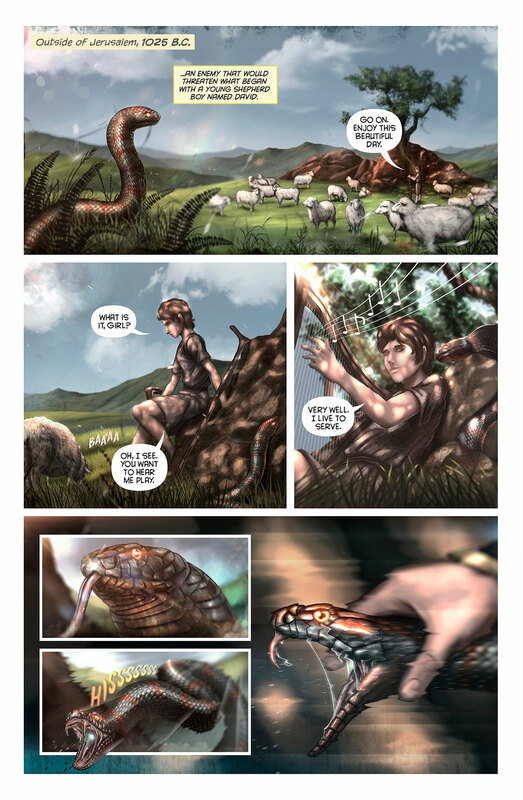 For fans of epic storytelling and over-the-top action, this biblical epic comic brings to light the classic struggle between good and evil, light vs. dark, angels vs. demons. Think of it as Avengers meets The Immortal Men. 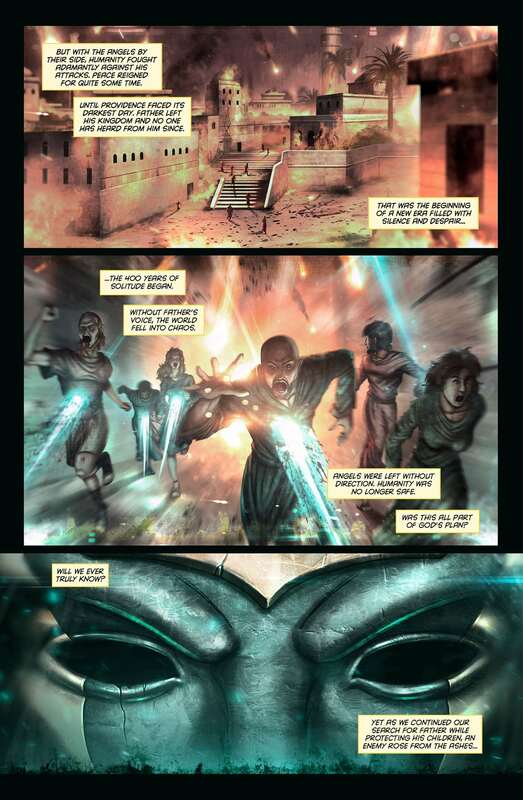 Knights of The Golden Sun takes place during the 400 years between the Old Testament and New Testament during which God was completely silent. 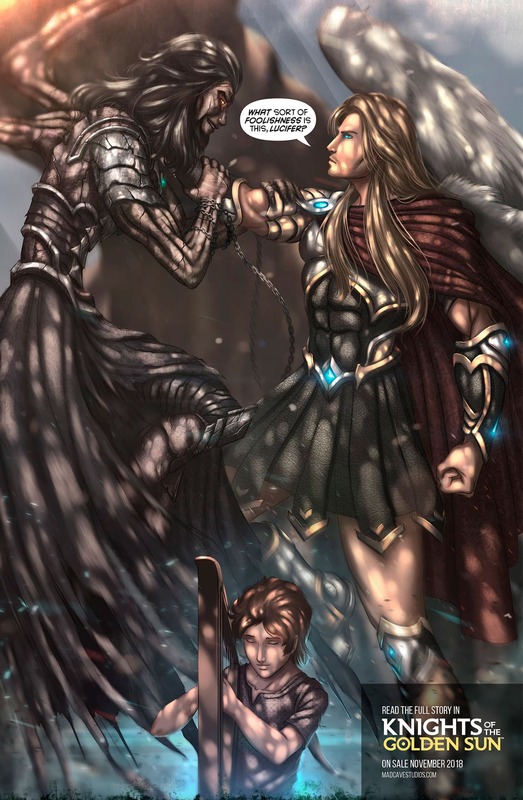 The story follows Michael and the Archangels, protectors of Providence and humanity, as they do whatever it takes to defend the empty throne of Providence from would be usurpers and disgraced angels, known as the Fallen. In order for the Archangels to overcome the darkness, they will need to discover their own humanity. With gloriously detailed art, an intricately crafted story, and explosive action, Knights of The Golden Sun will take you on a mind blowing journey through unexplored events of the past. Follow the Archangels on their quest to protect Providence and humanity from the Fallen on November 14, 2018. Pre-order at your local comic shop this September. Discover more in the Knights of the Golden Sun Website. 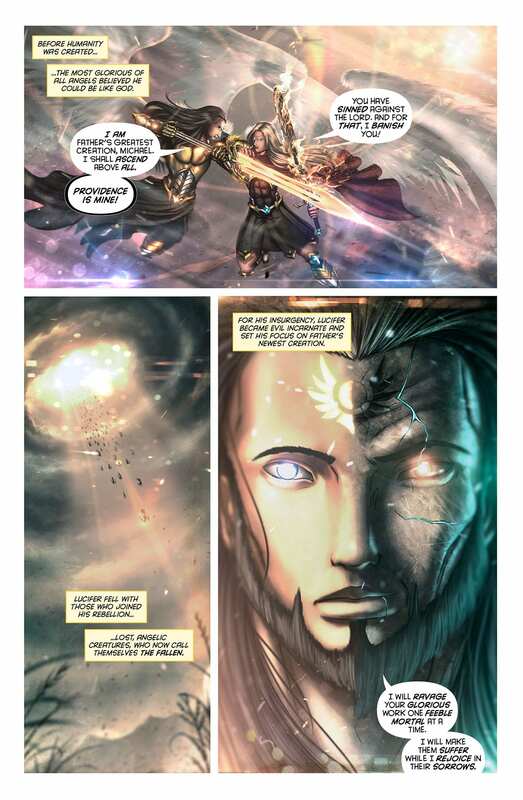 “Knights of the Golden Sun visually has an ethereal feel from page one through to the last. Villarreal’s archangels are beautiful and stunning. Their clothing and long hair flutter gracefully as vague whispers of angels’ wings add to their exquisite appearance. One might think of the power and grace of anime characters, such as Sephiroth from Final Fantasy VII. The backgrounds of the Heavens have a dreamy appearance that collaborates the epic feel of the story unfolding. Ospina’s lettering is clean, concise, and easy to read. 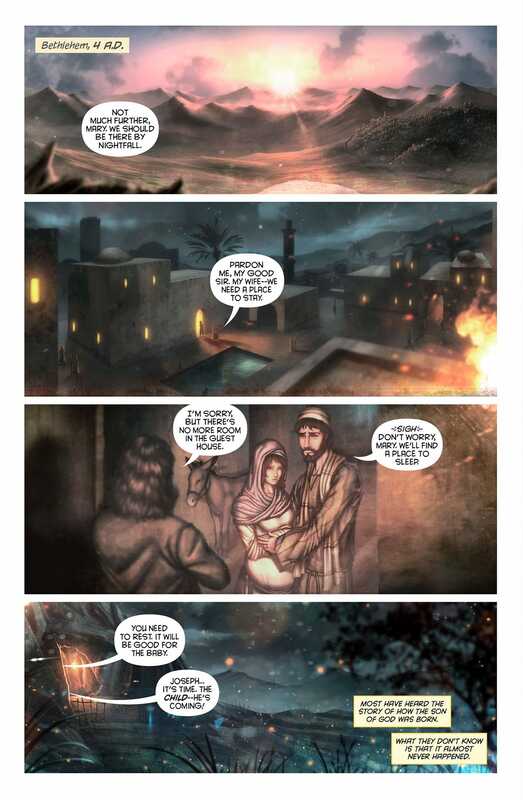 The narrative boxes and speech bubbles are clearly different from each other, so the reader is not left to wonder who is speaking or if it is a voice-over. The bubbles and boxes do not obscure the characters or the action; hence, the reader is not distracted by misplaced or hard-to-read text.” Michele Brittany, Fanbase Press.